Once upon a time, if a bloke wanted to look like a girl, he wore a farthingale. The Shakespearean boys who played the Violas and the Juliets and the Titanias would not customarily wear padding. But a great underskirt structure of hoops and vertical strips sent petticoats a-flouncing and hips a-swinging; one looked naturally feminine when one wore a farthingale. They were made of cane, or rope, or whalebone, and they continued to turn heads throughout the 16th and 17th century. In the 1700s folks wore panniers: a crazy concoction of hoops which left front and back almost vertical but shot out at the side. 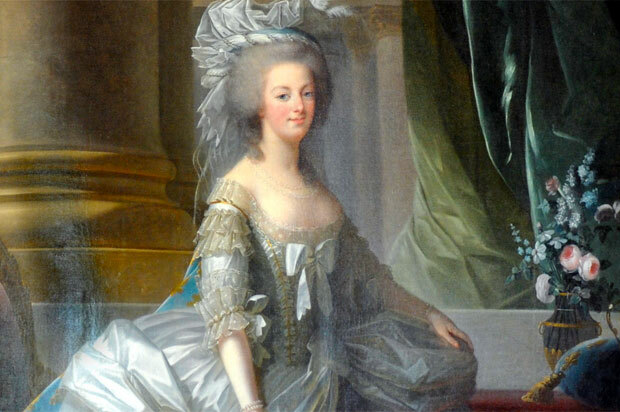 Think Marie Antoinette. And then, things got classical and utilitarian, and skirts went straight. Until 1810. When the crinoline made its appearance. Initially a strange weave of horse-hair weft and linen or cotton warp, starched for extra stiffness, crinolines became sturdier and sturdier, sporting huge whalebone structures. They were great flamboyant skirty things: and though they were blamed for several fatalities when the wind swept ladies off cliffs and dashed them onto rocks below, their structure was to save at least one life. Two, even. Reading, in Berkshire. A town with a river, the Holy Brook, which goes underground in some places. This strange channel is thought to be natural in parts, and in others man-made, a stream coaxed from a site outside Theale to what was once the necessarium – the latrines – of Reading Abbey, now a ruin. Historians conjecture it was created to supply mediaeval water mills and fish ponds. So: at the junction of King’s Road and Duke Street stood a tobacconists, run by a gentleman who went by the name of Mr Ball. His wife was in the shop one day, when the ground fell in. It just caved in, a gaping great hole, and Mrs Ball – who was pregnant at the time – plummeted down into the cavernous blackness. Which was not a dry hole, but part of the Holy Brook, surging beneath the city towards the old necessarium. Surely the lady should have drowned, were it not for her expansive crinoline, which opened out and trapped air beneath, providing the ultimate buoyancy aid. The good lady was in pitch darkness, terrified, but sailing stately on in her erstwhile life craft. After just a very short time she was out in the open, and surging towards the old abbey. She must have been yelling fit to wake the dead, for she attracted the attention of people in the local park, a fair distance away, who came to her aid. And so Mrs Ball never made it to the necessarium. Her child, when it was born, was named after the brook: he went by the name of Holybrook Ball. Crinoline Ball just wouldn’t have had the same ring, would it? Posted in UncategorizedTagged berkshire, Britain, clothing, crinoline, england, fashion, history, Holy Brook, readingBookmark the permalink. A ripe Berkshire story for you, there, Roger. First time in years I’ve thought of the 1950s style of voluminous petticoats under full skirts (eg, http://www.pettipond.com/lon.htm). Packing for travel was quite a challenge for, say, Miss America contestants. Oops, didn’t mean that to be a reply to anyone. Were petticoats just lots of gauze by then, PT? I don’t know much about the more contemporary fashions. Fascinating! How did they sit down in those things? How very extraordinary! Reminds me of a line from one of those old movies – might have been a ;’Carry On’ one – where they diagnose ‘dooble sarndie soobsahdence’ (double sandy subsidence). 😀 I can well imagine, Col….this was a Carry On moment, to be sure. I know. The cliff-windies could so easily have been me. I would never have seen that coming. Terrific post Kate – a history within a history. And a sink hole even back then. Yes! They have been happening for a while here, as there, Tammy. Holybrook Ball. Whatever became of him? Did he become The Honorable Holybrook Ball? Was he afraid of water? Did the Balls build another tobacco shop, this time on solid rock? Inquiring minds want to know. Is the the ancestor of Lucille Ball? I am a smash-and-grab storyteller, Gale, and so often fail to deliver on the wider context. I fear I have no answers for you as yet, but the same questions crossed my mind, and enquiries have been made…. Great to be reminded of an incident in our family history – though from what my late mother (Mrs Irene Lilian Hughes nee Ball and her elder sister the late Doris May Thompson nee Ball) told us, the year when their great, great (not sure how many greats !) grandmother fell into the Holy Brook was not so far back as the 1700s. However, my nephew Peter Norman Leach, who sent me this link, is researching our family history and may well have the exact date. My mother Irene and her sister (our Aunty Doris) had a brother – Billy – who fought in the First World War and, when he returned, his father (our Grandpa Albert Ball) set him up in business as a tobacconists and newsagent and their shop was in Kings Road, Reading, not far from Huntley & Palmers, the biscuit factory. Our Uncle Billy married Marie and they had a daughter, our cousin Angela. Sadly, however, having been gassed in the war, Uncle Billy died when my two sisters and I were still at The Highlands Junior School in Tilehurst – then a village about four miles west of – but now much absorbed into Reading. After The Highlands I attended Kendrick Grammar School in London Road and most afternoons walked down London Street and then Duke Street to catch the trolley bus back to Oaktree Road, Tilehurst and can well remember looking over Duke Street bridge at the River Kennet flowing beneath and thinking about our ancestor Holybrook Ball although, if memory serves me right, I thought that his first name was Albert, his middle name Holybrook – his full name being Albert Holybrook Ball – no relation to Lucille Ball, so far as we know ! Unreal story, I can vividly picture her floating along.. I love your style of writing! Whether The Times report was accurate in its details or not, the story is certainly still believed by Bristolians. So Reading is not alone in claiming the crinoline as a life-preserver, whether as inflatable or as parachute! My Mamaw had something similar to Mrs Ball happen to her. Death by dress blown off a cliff and smashed into rocks — what a dreadful way to go! If I lived back then I would have wanted to cross dress, even if in an isolated incident a crinoline saved a pregnant woman’s life. It sounds like they killed more. I didn’t know the word “panniers” but always thought those Marie Antoinette skirts were the oddest things! When I was a little girl we still wore the very stiff “petticoats” and it was so hard to sit in a lady-like fashion in Sunday School. My skirt would elevate in the front when I sat down! But now that I think of these crinolines and hooped skirts as safety equipment, I might rethink my negativity. This is one of those “Ripley’s Believe it or Not” stories!